GraceKennedy has announced that applications for the 2018 period are now open. The aim of the programme is to expose second and third generation Jamaican university students to a diversified Jamaican experience through music, social activities and professional tutelage through internships at GraceKennedy. The GraceKennedy Foundation is ensuring that students have that chance. 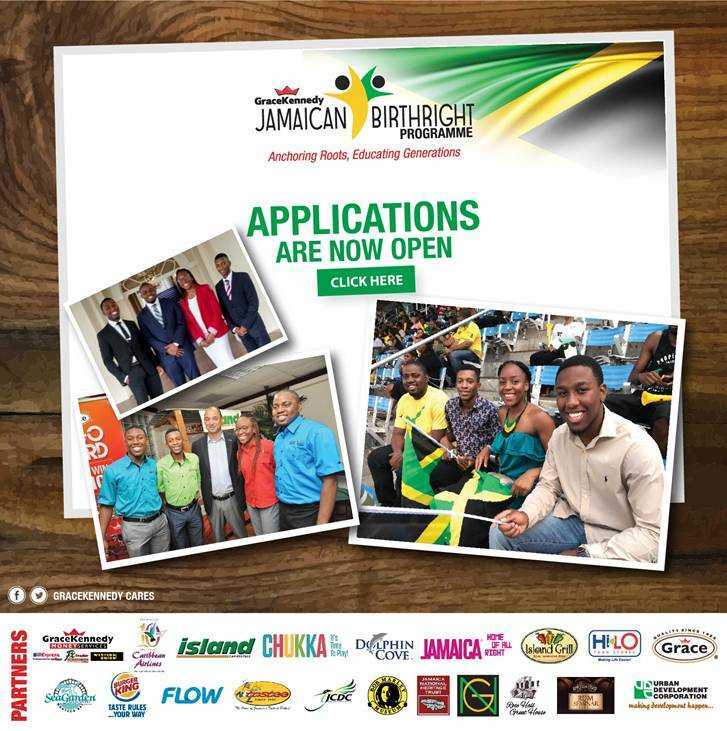 Applications are open to second and third generation Jamaicans (of Jamaican parentage or grand parentage) between the ages 18 – 25 years, who have not lived in Jamaica for more than six months, and who are seeking an opportunity to learn and explore their Jamaican heritage. They must be pursuing either an undergraduate or graduate degree and must have a Grade ‘B’ average or higher. Applications will be accepted online from September 1st to November 30, 2018, after which four persons – two from the United States, one from the United Kingdom and one from Canada - will be chosen to participate in the Birthright Programme for 2018.